Players are regarded as individuals and are encouraged to maintain a positive self- image through a healthy competitive spirit. We are a multi-cultural club with a diverse staff and player base. We maintain a policy of open membership regardless of residence or economic circumstance. Our club is proud to represent North Texas and is committed to achieving positive recognition for our region. To enhance a player’s soccer ability, development and experience. To provide a professional coaching staff to help educate and prepare all players for success in soccer and in life. To help guide players at all levels, to reach their goals and to find success in the sport. To promote sportsmanship, friendships and develop character as an athlete. You read the articles , soccer forums and listen to all of the knowledgeable soccer people talk about player development and all the elements surrounding it. The U.S Soccer Federation , large youth Clubs and mainly the National team staff all has their spin and provide us with great detail about how to develop players to be world class. The bottom line is that everyone is correct about how players develop. Every aspect or element in a players personal , Soccer , and Social Environment dictates the total development of that individual player. Athleticism, Financial , Mentality , Club , Team mates , Coaching staff , Home life , Dedication , Desire , Success , and Luck combines with every other aspect of the players personality and life controls how successful he or she may be. The problem the United States players has is that we live in a performance based society. Please do not get me wrong. The main goal of any athlete should be to be the best and to win. But when winning takes priority at our youth level's, learning should be the main focus and creativity should be expressed as a team and an individual player. When winning takes priority many positive elements get over looked and left behind. 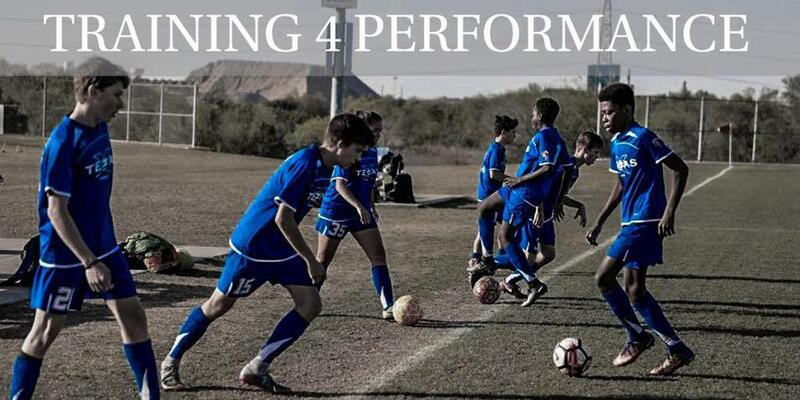 TEXAS XTREME F.C has introduced the Training 4 Performance Module on it's website. This is the curriculum and education about the player Development System of the Club. Texas Xtreme has introduced a program which allowed for all players in the Club, the possibility of training 3-4 days a week without any out of pocket cost to the player. In hopes that all players would take full advantage of the program, the structure had to be fun , creative , and different each session. The module also needed to fulfill several requirements in order to be successful. It needed to include individual Technical Training, Team Tactical Training , and Speed & Agility Performance Training. The idea of youth players training more and playing less games may be hard for some parent's and players to grasp. The understanding that individual development leads to better team performance is often talked about thru most club systems , but is never pushed as the main focal point of success. In the United states , success is usually Acknowledged by winning the game or trophies. The Training for Performance Module is not perfect for many reasons, but the largest issue to the program is player commitment , field space and time. 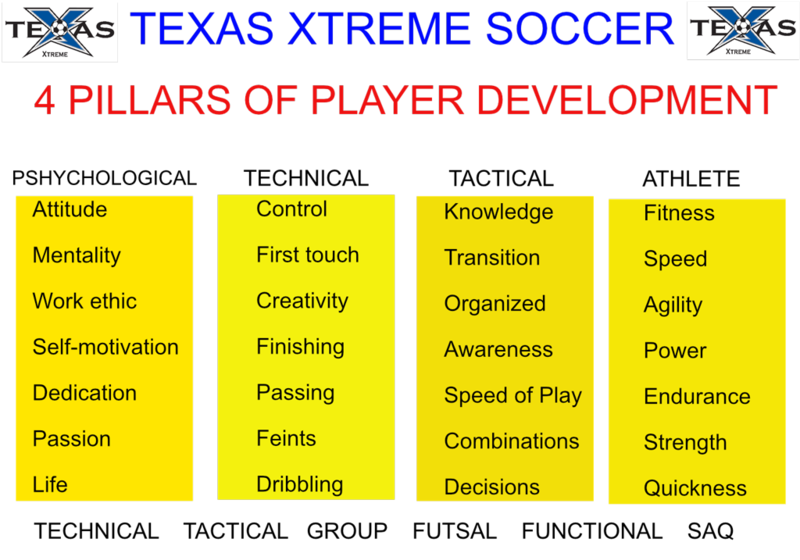 The Texas Xtreme Futbol Club has introduced and implemented the following training programs & RULES into the Training 4 performance module.